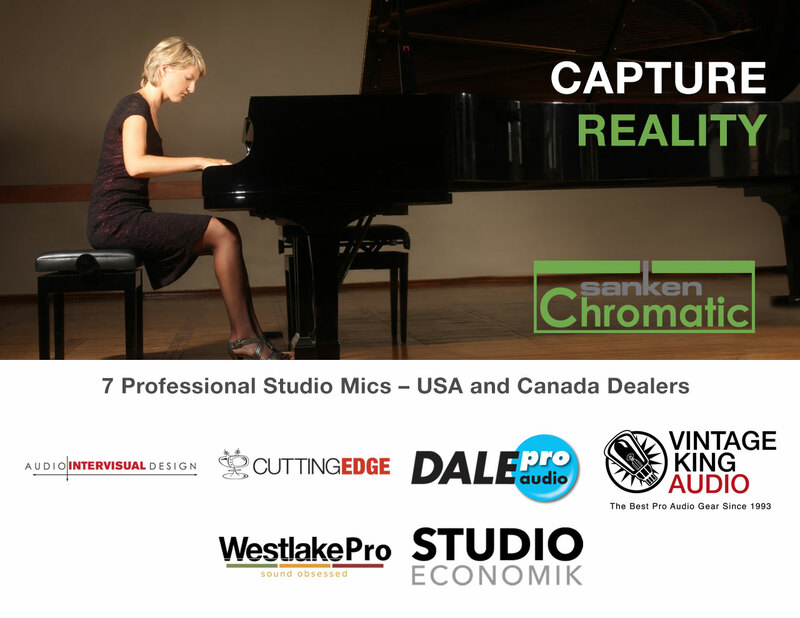 Los Angeles, CA, February 2016 – The Sanken Chromatic line of professional studio microphones has announced a distribution network and seven new dealers in the United States and Canada. These new Sanken dealers were chosen for their extensive expertise in professional recording gear and comprehensive knowledge of microphone technology. The Sanken Chromatic series of seven professional studio microphones provides musicians, sound designers, engineers and producers with the ultimate set of pure, transparent sounding mics for a wide variety of applications. Sanken Chromatic dealers have demo mics, designed and meticulously engineered in Japan and featuring numerous innovative features such as diaphragms impervious to humidity and temperature change. The result is a set of mics that have phenomenal frequency response, accurate off axis response, exact patterns, minimal proximity effect, low noise and high SPL tolerance. Following the successful product launch of Sanken’s newest microphone, the dual-capsule cardioid CU-51, the new Sanken distribution chain was established, with additional dealers to be announced shortly.